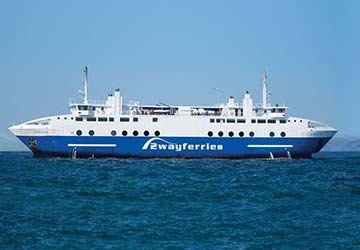 The Methana Piraeus ferry route connects Greece with Athens. Currently there is just the 1 ferry company operating this ferry service, Saronic Ferries. The crossing operates up to 13 times each week with sailing durations from around 2 hours 5 minutes. Methana Piraeus sailing durations and frequency may vary from season to season so we’d advise doing a live check to get the most up to date information. Prices shown represent the average one way price paid by our customers. The most common booking on the Methana Piraeus route is a car and 2 passengers. The Greek town of Methana is located on a volcanic peninsular attached to the Peloponnese, a large peninsular and region in the south of Greece The peninsular is mostly made up of mountains which run along the central part of the peninsular with a small ridge to the north. There are also areas of open grassland and bush on the peninsular along with around 32 volcanoes. A particularly challenging, but rewarding, experience that some visitors choose to undertake is to climb to the largest crater. The ascent begins at Kameni Hora and follows a route on a climb that takes around 25 minutes to the crater's edge. Once there it is possible to walk on now solid red lava flows and experience the views of a world made up of savage black, red and green crags and sharp abysses. For a more relaxing experience, visitors should explore one of the town's volcanic beaches such as Nissaki Ayion Anaryiron, Limnionas and Vathy. 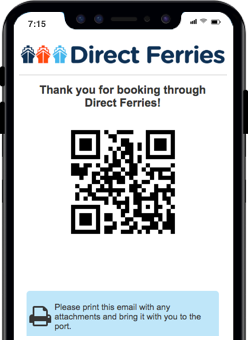 There are regular ferry services from Methana to the port of Piraeus with a crossing time of around 2 hours. There are also ferry services to Poros, Aegina, Hydra, Spetses and Hermione along with hydrofoil services to Poros, Hydra, Spetses, Hermione, Porto Heli, Tolo, Nafplion and Monemvasia.